In SMI stretch-blow moulders, designed according to INDUSTRY 4.0 parameters, fully automatic processes, electronically-controlled operations and wiring by field bus are synonyms of reliability, considerable operational flexibility and high performance. Hardware and software components are IoT (Internet of Things) ready, are “open“ and modular, comply with the most important international certifications and rely upon consolidated standards of the industrial field and of the packaging sector: OMAC guidelines (Open Modular Architecture Controls), sercos, PROFIBUS, IEC61131, OPC, Industrial PC. In particular, by following the OMAC guidelines and the Omac Packaging Workgroup (OPW), SMI can guarantee easy integration with the other machines in line, user friendly technology and maintenance of the investment value. The automation and control system of SMI machines, called MotorNet System®, includes the following hardware components: MARTS (process controller), POSYC (manmachine interface), COSMOS (digital servodriver for brushless motors), dGATE and aGATE (remote IP65 I/O digital/analogic modules). 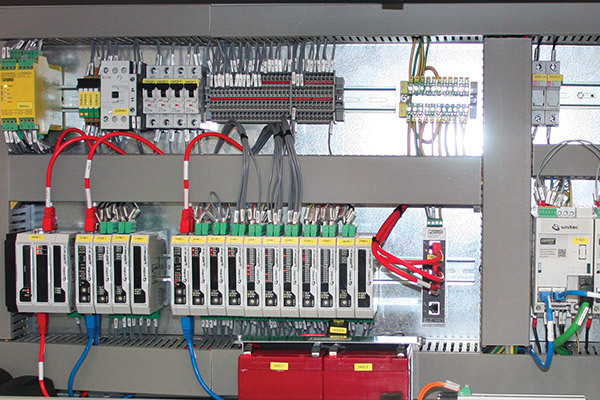 The MARTS is a PAC (Programmable Automation Controller), based on an industrial PC, which can be programmed in IEC61131 languages. 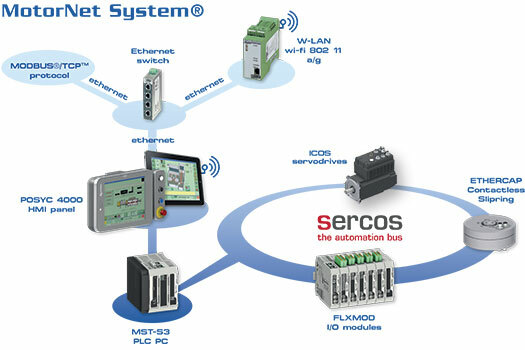 The COSMOS servodrivers and the dGATE/aGATE I/O modules are connected to the PAC via sercos. 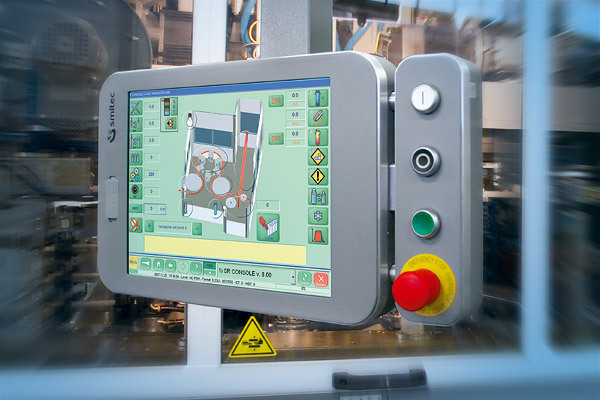 The POSYC is a HMI terminal, (touch screen IP65), based on an industrial PC with solid state drives. To interchange the COSMOS with compatible sercos pack profile servodrivers.